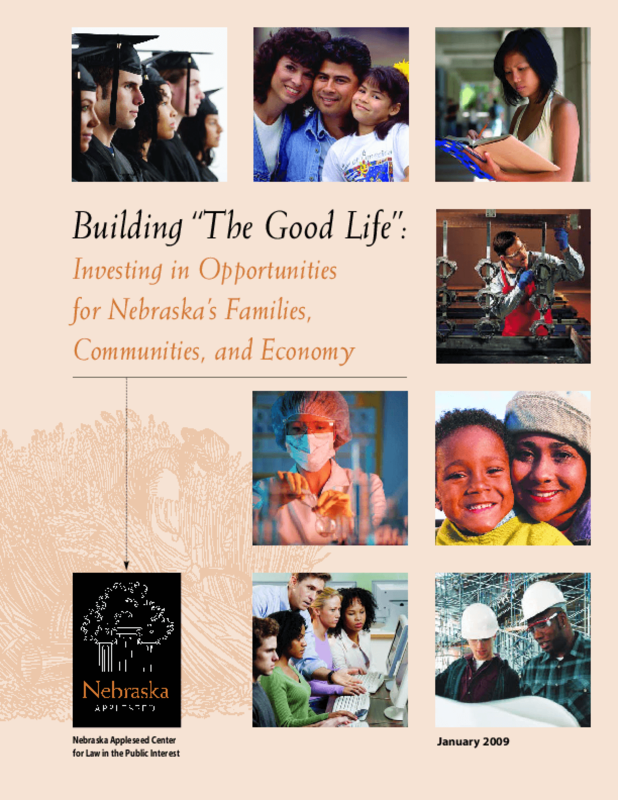 Identifies needs in education and skills development, economic development, and supports for working families. Calls for state investment to improve access to and aid for education, job creation and training, and wages and benefits for the working poor. Copyright 2009 Nebraska Appleseed Center for Law in the Public Interest.